AutoDrain are pleased to announce that we will be attending the Professional Recovery Roadshows 2015! After a really fantastic exhibition, AutoDrain would like to thank everybody who attended the Tow Show exhibition at The International Centre in Telford. We thoroughly enjoyed the day and getting the chance to see our customers who kept us all very busy throughout the day. AutoDrain at the Professional Recovery Tow Show 2014! AutoDrain are pleased to announce that this year we will be attending the Professional Recovery Tow Show being held at the International Centre in Telford on the 11-12th September 2014! 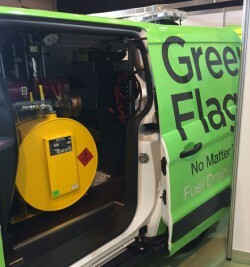 The Tow show has fast become the focus of the vehicle recovery industry and a must for anyone dealing with fuel removal and storage. Fantastic interest in AutoDrain vehicle depollution equipment at CARS! 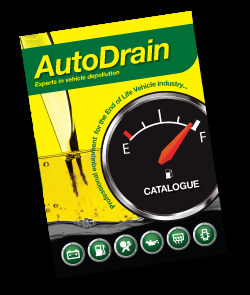 AutoDrain have just come back from attending CARS 2014, with such a successful show now completed we wanted to say a big thank you to all our customers for coming to see us at the show and making it a fantastic day for all the team at AutoDrain. This year AutoDrain are pleased to announce that we will be attending the CARS exhibition from the 5th – 6Th June 2014. Cars is a global event which is fast becoming one of the biggest events in the End of Life Vehicle industry and a must for any Authorised Treatment Facilities to attend. 2014 depollution systems – Now in full swing at AutoDrain. AutoDrain are excited to be participating in many exciting exhibitions throughout the year in England and Europe. We have recently successfully completed the Rolling Stock Fleet Maintenance exhibition, which was held on January 22nd to the 23rd in London. 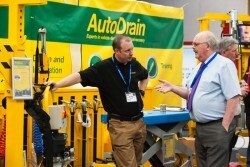 AutoDrain will be exhibiting at this year’s RWM Show on the 19th and 20th September. The show is held at the Telford International Centre, and is one of the largest recovery shows in Britain. It caters for every aspect of recovery and breakdown, including transportation and fuel recovery.